Opinion: How Can The United States Reform Science Education? about digital learning and education innovation. Whatever happened to that nerd-tastic hobby called Geocaching? The high-tech game of hide and seek still has around 5 million users worldwide if Wikipedia is accurate. But some education start-ups are looking at ways to use the same GPS technology as a way to make learning fun by linking GPS devices to curriculum. The timing is right, given that GPS apps like Google Maps and others now often come standard on smart phones and readers like iPads. Educaching, is a GPS based curriculum for educators that Geomate.jr would like you to believe learning is like treasure hunting or geocaching. ”The curriculum combined with the Geomate.jr guides teachers in science, technology, engineering and mathematics (STEM) based, GPS scavenger hunts that engage students in teamwork, problem solving, critical thinking and exercise in a fun learning environment,“ said Jason Hubbard, teacher and author of the Educaching GPS based curriculum. Watch the video about Educaching. The new Educaching curriculum has teacher training and development, twenty out of the box lesson plans, student assessment sheets and more hands-on after school activities using the Geomate.jr receivers. Teachers will be able to create their own private geocaches and they will be able to select who has access to those geocaches. These private caches are called Custom Caches. Teachers will be able to update the content and can add their own geocache locations into any Geomate.jr. “The teaching manual contains lesson plans of varying skill levels,” Hewerdine explained. “The applicable standards covered are highlighted in each lesson plan and are specifically designed to assist teachers with fulfilling their district’s achievement requirements for students.” Sample lesson plans can be downloaded from either www.educaching.com or www.mygeomate.com, and both have agreed to offer educational discounts for school kit purchases. Have you tried Geocaching or Educaching yet? Tell us about your experience? Online Physical Education Class: An Oxymoron or Online Education’s Next Step? 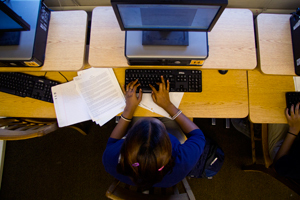 The Pulitzer Prize winning investigation newsroom digs into for-profit education. UNC is first top 20 MBA program to launch Online MBA program. Guest Column from Hansoo Lee of Magoosh.com: SAT Scores are Falling – Now What? Heard: Will Europe’s Universities Embrace The Free, OpenCourseware Model … Or Remain Timid? 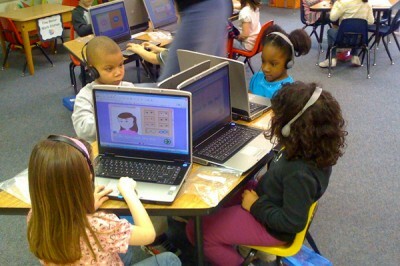 Heard: Pew Research Shows Kids’ Cognition Morphing … Will Education? © 2011 WiredAcademic. All Rights Reserved. Sign up for entries RSS and for the comments RSS.